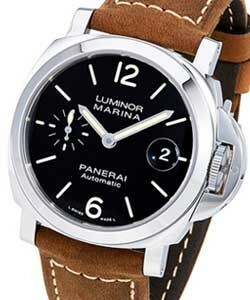 This watch is also known as: PAM120 , PAM , PAM00120 . 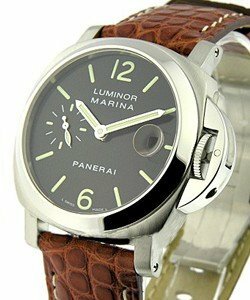 Panerai Luminor Marina is a handsome chronometer that is COSC (Official Swiss Chronometer Testing Institute)certified, run by automatic movement that assures utter accuracy and reliability with 42 hours power reserve. 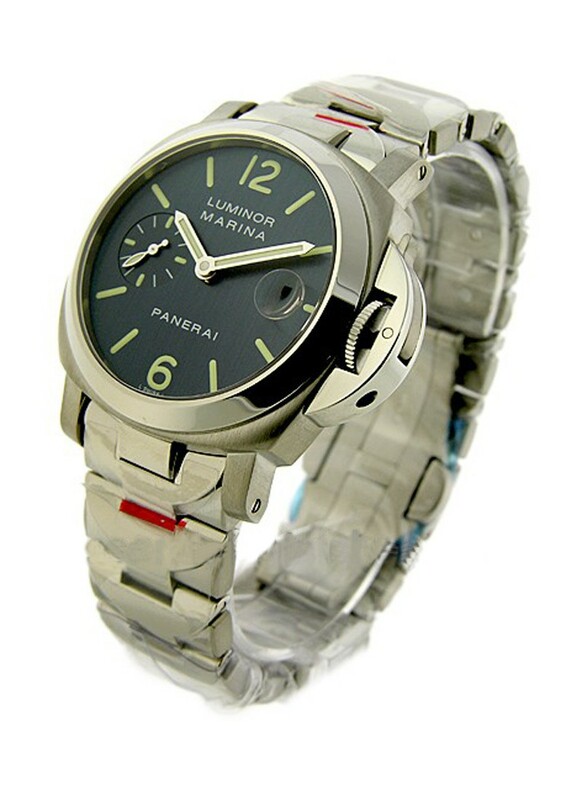 Its corrosive-resistant steel bezel and case, bound an austere blue dial, legible hands and stick markers. 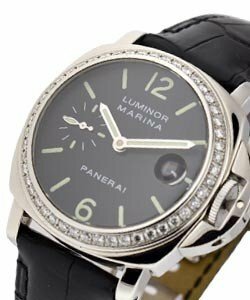 It has complications such as a totalizer at 9 and a date display window at 3 o' clock position. 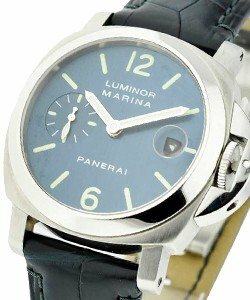 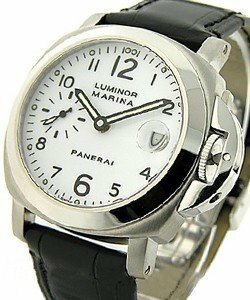 Panerai Luminor Marina is an anti-shock athletic timepiece that can withstand extreme conditions; its sapphire crystal has anti-glare and anti-scratch properties, and is waterproof to 100 meters or 330 feet. 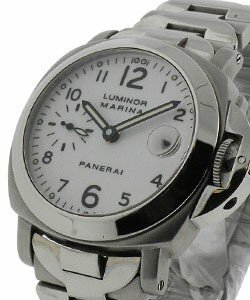 The casing is then attached to a durable and comfortable bracelet that secured itself by a fold-down clasp.